The Alliance for Healthcare Security (AHS) is running a TV ad against Congressman Ryan Costello (R-Chester) for the Republican plan to replace the Affordable Care Act (ACA). 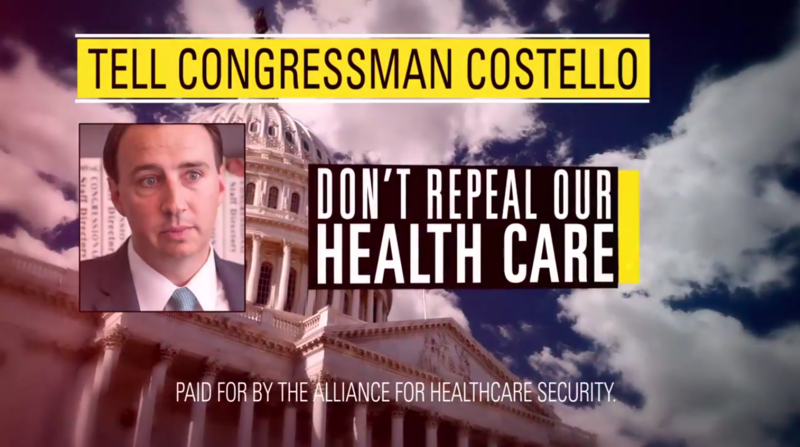 “Washington politicians are at it again with another disastrous healthcare repeal bill that raises costs and cuts coverage for millions,” the ad says. According to filings with the Federal Communications Commission, the ad will be running on WCAU beginning today and running through Thursday. 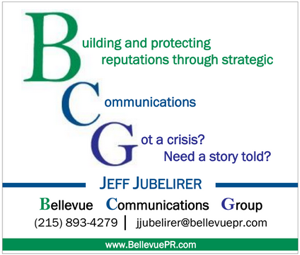 PoliticsPA has not been able to find how much money is being spent on the ad buy. Ad buys that are this short and on only one network are often used to more to generate media coverage than move the needle of support for an issue. The Washington Post reports that the AHS is part of a “mammoth coalition to defend Obamacare” organized by liberal groups. Update: Costello’s campaign responded to the ad. “Congressman Costello is one the strongest advocates for patients and access to healthcare in congress. Too often scare tactics and misleading attacks from liberal front groups such as this only serve to hinder meaningful debate on on important subjects as healthcare,” Costello campaign senior adviser Vincent Galko said in an email. I guess this is necessary to refute the ads and mailers the Koch brothers have been pouring into District 6 for months encouraging people to ” thank” Mr Costello for replacing the ACA with a better( mystery) plan. We really need to get all this private pac money out of our democracy. Our Congressman needs to fend off the Koch brothers and protect people who live in his district from insurance company profiteering. If you read, and comprehended, the story, the objective was not Costello so much as drawing national coverage. Most of the ad is generic, only mentioning Costello at the end. 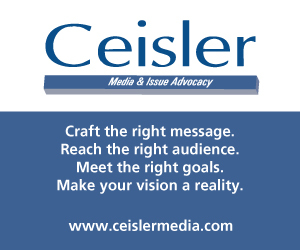 Expect to see the same ad with a customized ending for each Congressional district to be run across the nation. BTW, you don’t dispute the truthfulness of the ad, which was spot on. Democratic outside groups are already pouring money into the 2018 cycle? A little bit pathetic. Costello isn’t even the problem, why don’t these groups focus on Trump instead of trying to hit a moderate republican who votes with them more than almost anyone? Just not smart.